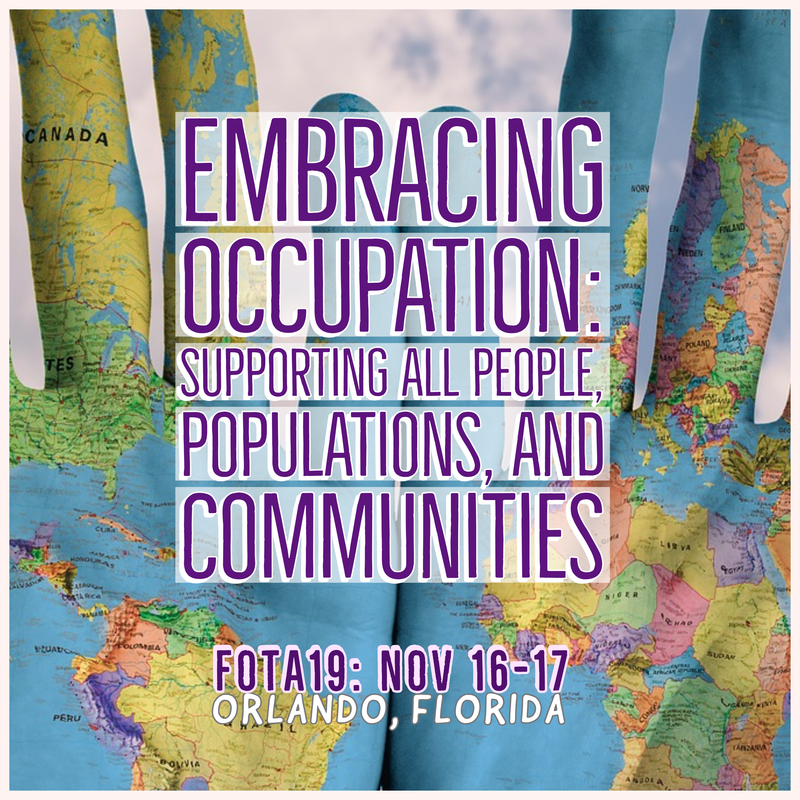 Please share your knowledge and skills with other Florida occupational therapists. We are accepting abstracts for two hour workshops, one hour short courses, and professional posters. Our goal is to offer a variety of topics with an emphasis on timely techniques and evidence. Workshop: 2-hour sessions presented by experienced practitioners on topics with direct relevance to practice. Short Courses: 50-minute sessions presented by experienced practitioners on topics with direct relevance to practice. Students have the option of a 1 or 2 day conference registration! Speakers will be notified end of August.